Do you love baseball? Are you looking for an exciting career in bullpen cart driving? The Washington Nationals need you. WASHINGTON — Do you love baseball? 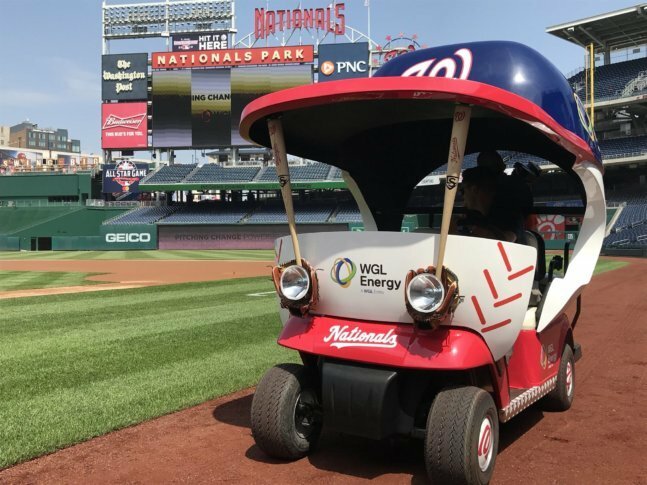 Are you looking for an exciting career in bullpen cart driving? The Washington Nationals need you. For a full list of duties and requirements, check out the job posting. The job is no leisurely drive on a lazy Sunday afternoon with a bunch of ballplayers; drivers must pay close attention to the game to see when a pitching change could potentially be made and be ready to dash. But, it does have perks, such as getting to know which players like to use the cart or like to make their entrance to a personal music choice. Bullpen cars were used to bring relief pitchers into the game from the bullpen to the pitcher’s mound. They eventually became passe in favor of having entrance songs played when new players come in. The Cleveland Indians were the first team to use a bullpen car in 1950, according ESPN.